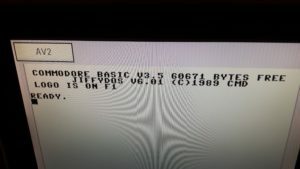 I wanted to be able to use Jiffydos in the Commodore 16. To do this I needed to modify the chip select lines so both kernal and basic rom could be used in one rom socket. 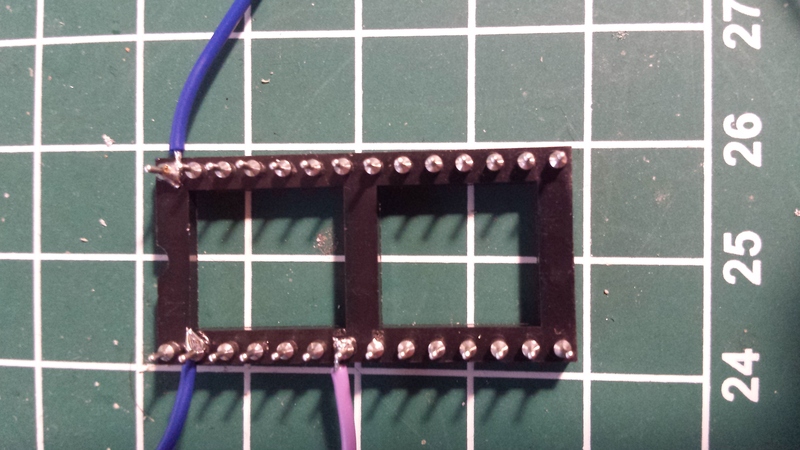 This modification was very easy, just run both chip select lines into a and gate, and we have a new chip select line. 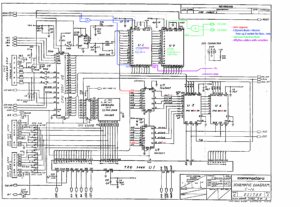 To switch between the kernal and basic part of the new rom, connect the old basic chip select line to A14 of the new eprom. 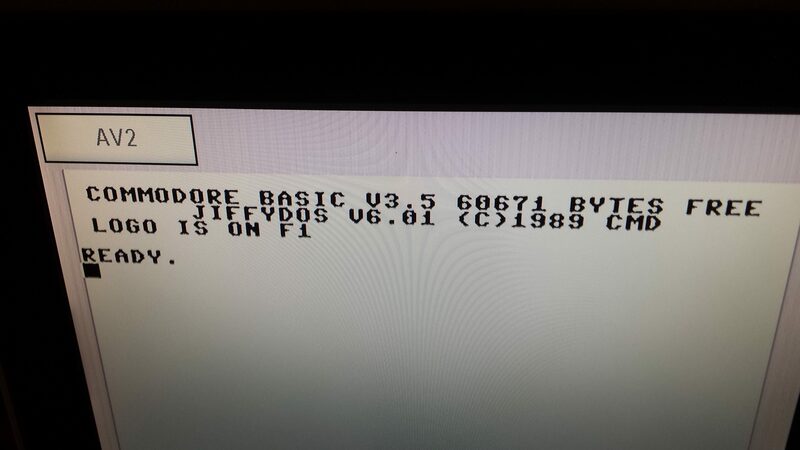 To add Jiffydos, we can use a 27c512 eprom and use the A15 line to select normal or Jiffy dos. You can buy a legal version of Jiffydos here, like I did. 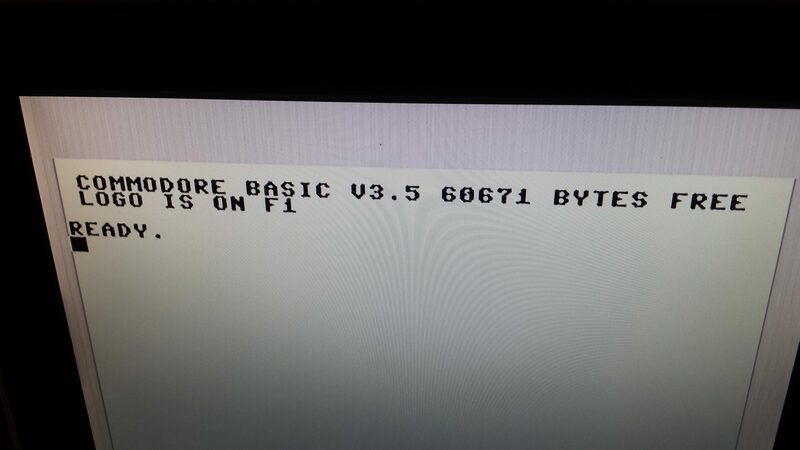 Keep in mind that the Commodore 16 (and the compleet 264 series) like the Vic 20 has it’s own kernal for PAL and NTSC. 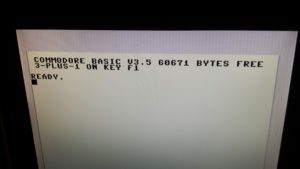 program the new rom merge all files to one file (e.g. copy /b basic.bin+kernal.bin+basic.bin+Jiffy.bin combined.bin). 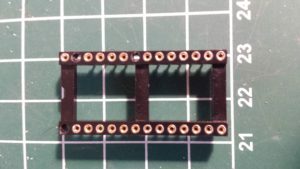 To prevent cutting a lot of lines on the mainboard I removed pins 1,22,27 from a socket, and inserted it in the place of one rom sockets of the mainboard. 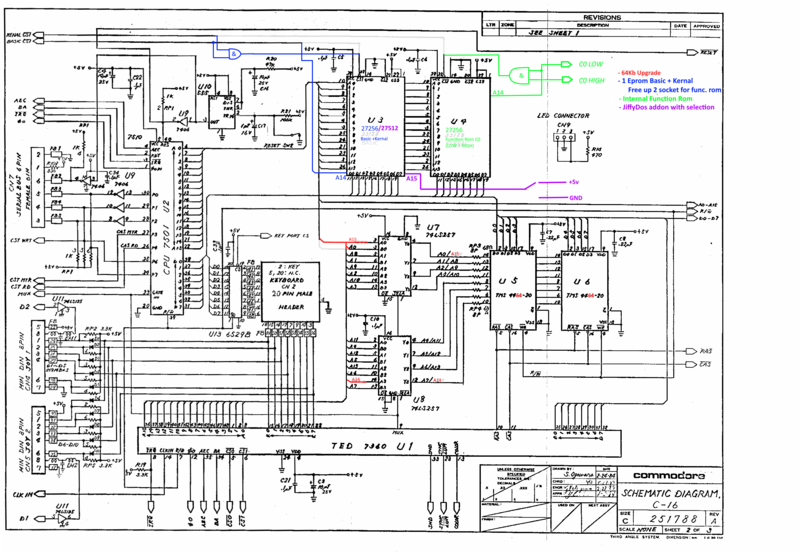 Connect pin 4 of U14 to an input of a 7408 and gate, and to A14 (pin 27) of the eprom. 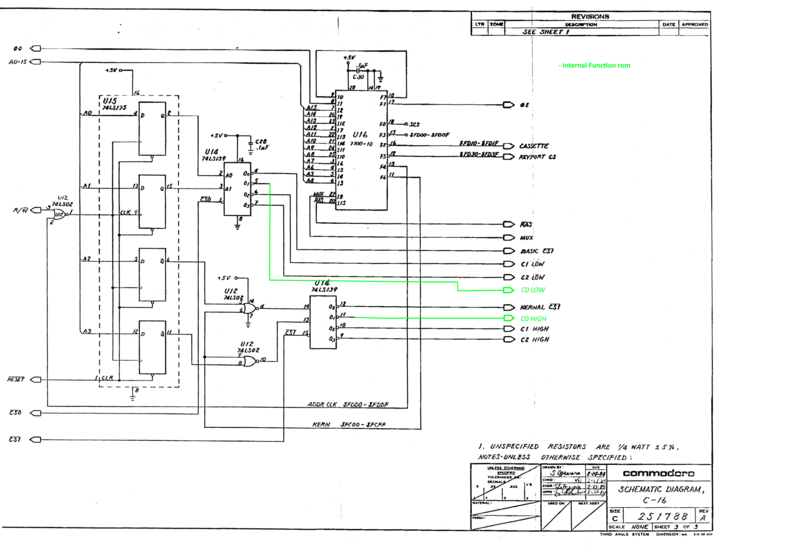 Connect pin 12 of U14 to the other input pin of the 7408 and gate. 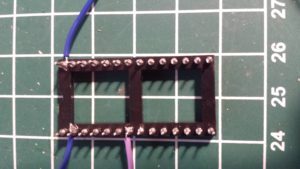 the output of the and gate should be connected to pin 22 of the eprom (Output Enable). 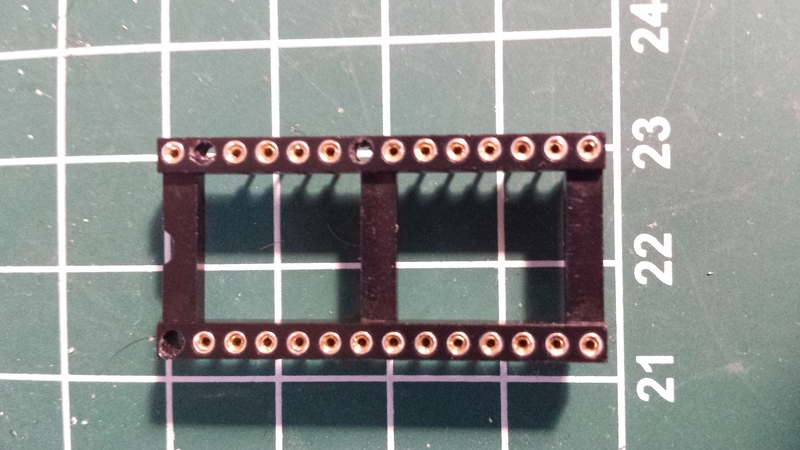 Use a switch to supply 5 volt or gnd to pin 1 of the eprom to select normal or jiffydos. 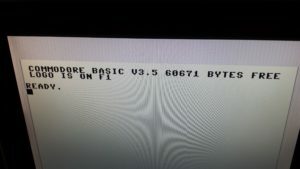 As an extra option, I used the now empty rom socket to add the 3-plus-1 and logo (switchable) roms. The procedure is the same as above, but instead of pin 4 of U14 use pin 5, and instead of pin 12 use pin 11. 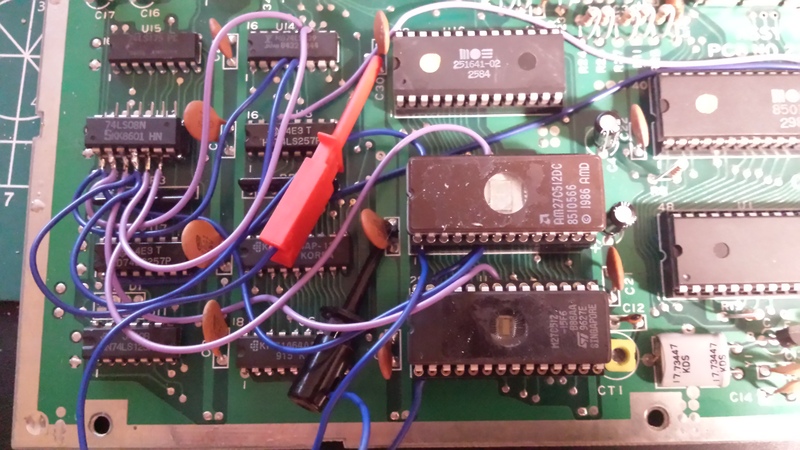 In the photo on the left you see the two new eproms, and a 7408 mounted on another 74 chip. this setup is temporary and the 7408 should be coming on a circuitboard. I also used clips instead of switches as I want to create another mod to make these rom selectable without switches. 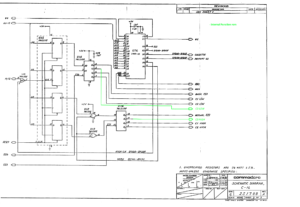 Below, the updated schematics with the mod above and 64kb expansion.